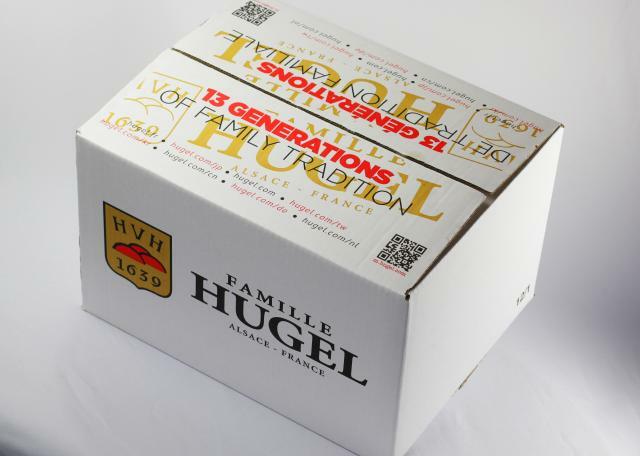 This is the Famille Hugel signature wine. This dry Riesling stands out for its finesse and frankness and is the ideal partner to fish and seafood thanks to its wonderful balance and elegance. Alcohol level (% vol. ): 12.31° % vol. Riesling is the Pinot Noir of white wines! It is our most demanding variety as it is also the latest ripening. Dry and elegant, it expresses itself best on our steepest slopes with the most complex minerality. Rarely have we seen a vintage subject to so many variations in the weather. The season started late with a damp spring and coulure, causing a smaller than usual crop. High temperatures and exceptional summer weather brought the grapes to perfect levels of maturity. 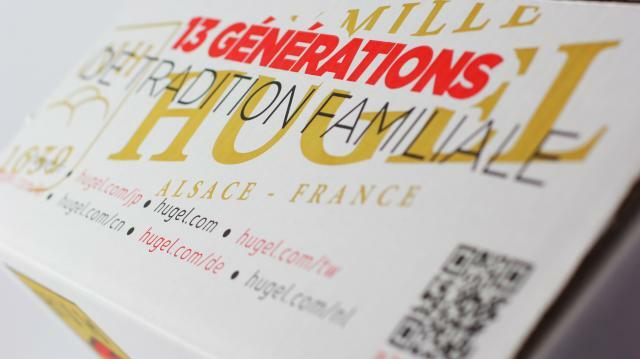 Right from the start of our harvest on 1 October the grapes were very healthy and ripe, and so 2013 was a classic Alsace vintage of intense, pure, well balanced wines. Uneven weather at the very end of the harvest prevented any significant production of Late Harvest wines. 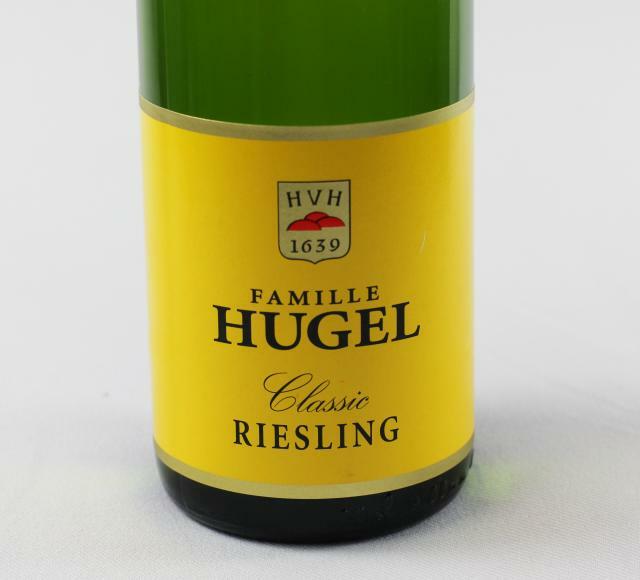 Young, pale green colour, with dominant green nuances, slightly yellow like lime tree leaves in the spring, with a few silvery hints, nicely bright and lively, with delicate tears that run finely down the glass. 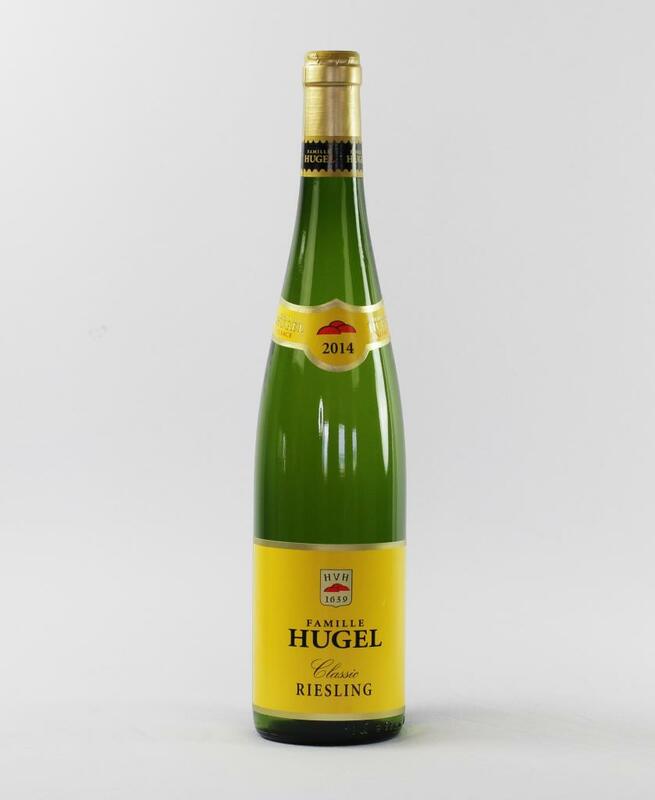 The bouquet is fresh and lively, crisp and clean, pleasantly aromatic and fruity, green apple, lemongrass, ginger, white peach, fresh moss and blackcurrant, with an agreeable touch of muscatel. This is an authentic, expressive young Riesling. The wine is dry and fresh on the palate, vivacious, nicely taut and elegantly structured, giving depth and persistence and a finish that positively encourages another sip. Despite its youth, this wine’s principal merit is its sincerity. It is clearly defined and ready to enjoy. 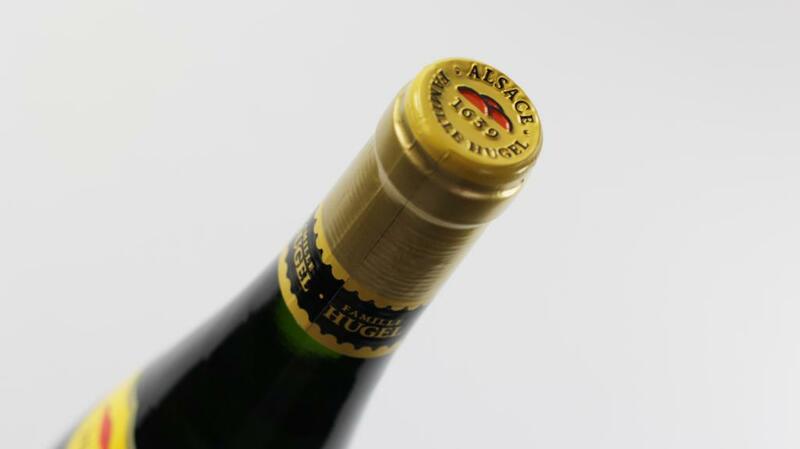 Yet 2 or 3 more years in bottle would allow its elegant character and minerality to express itself, as only a Riesling can. Enjoy it now for its energy and typicity, or keep it for 3 to 5 years to discover its full bouquet and complexity. Serve it at 8°C. It will make an excellent aperitif. Or drink it with turbot, sea perch, monkfish, lobster, crayfish, seafood, pike-perch, pike, salmon, shellfish, scollops, and carpaccio of raw or marinated fish.